"Donating is a form of Love." NOROC's "Big-Hearted Grannies" and over 50 Romanian staff can share the work of their hands and hearts only when you pray, care and share. Financial contributions from individuals, families, congregations, university and school groups, service clubs, and others help forge a circle of caring around each child. $1200 sponsors activities for one small group for one year. NOROC's goal is to have each child in a small "family group" of 8 or 10 children. Small group mentors nurture ongoing relationships. Groups go on local field trips, celebrate birthdays, do a crafts, sports, or cooking activity and spend quality time together. Small Group Sponsorships help donors feel personally connected to a cluster of children or youth. $1500 sponsors horse therapy day camp for 22 children for one week--five full days of grooming, riding instruction, horse therapy, ecological learning, outdoor free play, crafts and other therapeutic farm and garden activities. Please consider a regular monthly gift or a memorial legacy. 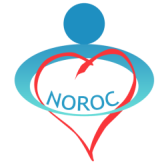 Both cash and in-kind donations help NOROC provide clothing, toiletries, books, school supplies, educational materials, Christmas gifts, and more in each of 15 Tulcea County institutions. Because needs change, please ask Carolyn White (noroc9@suddenlink.net) or Petru Solca (petrusolca@gmail.com) about current needs. Young people can do amazing things. By beginning a NOROC chapter at your school you can raise awareness of the needs of Romanian orphaned children, and raise funds to help NOROC's ministries. Willing to risk a life-transforming experience? Visit NOROC in Romania to share your energy and gifts, learn about living otherwise, hone your skills, and call upon your internal resources. Interns and work teams of all ages build NOROC's capacity as they work hands-on with and for institutionalized children and youth. Contact us about one year in advance about an internship or bringing a work team. 2015 NOROC summer intern: Markus Stracke, Philipps-Universität Marburg, Germany. Want to visit us? Check out our FAQs and Visitors' Guide.